It’s probably not surprising that the number 1 reason a home fails to sell is its price. There is no marketing budget on earth that can effectively market an overpriced home. Could it sell at an over market price? Yes, it could happen (sure, stranger things have definitely happened…). Is it likely? NO. The most important aspect of selling your home is not de-cluttering, staging or a million dollar marketing budget—it is strategic pricing for your target market of potential buyers. I can see where this may seem like sound rationale on the surface, but this could be some very expensive logic: “…But we want to leave room for negotiation!” Famous last words. You can’t negotiate when there is no offer and there is no rule saying that you HAVE to come down on your price at all. For example: Let’s say you want to sell your beautiful 3 bedroom 2 bath home that your agent tells you will sell for $125k. You decide you want to “leave room for negotiation,” so you list your home for $139k (with the thinking that you will “negotiate” down to market price of $125k.) In reality, you are missing your market entirely. Here’s why: The $125k group of Buyers (who are your real target market!) will never see your home, because it is priced out of their budget and they are not assuming you will negotiate. If the buyers are approved for $125K max, they will not extend their search range that high. The buyers in the $139K range (which you’re currently priced into) are expecting more amenities and the other homes (aka your home’s competition) are much nicer than yours and are therefore not even comparable. So instead of being the best house in the $125k price point, you are the worst house in the $139k price point. Put the shoe on the other foot…which house would you want to buy? I don’t know about you, but I’m not going to pay steak price for a hamburger. Buyers and their agents know when a home is overpriced. Shoppers have all the available home data at their fingertips, and are more educated than ever before. Each home is competing with the others in the area and pricing will be one of the deciding factors on whether or not the buyer decides to schedule a tour of the property. No feet through your door means no offer in your hands. Your high price will only help the competition look even more enticing and get a “sold” sign in the yard next door. The key question is, do you want to sell your home or help sell your neighbor’s home? 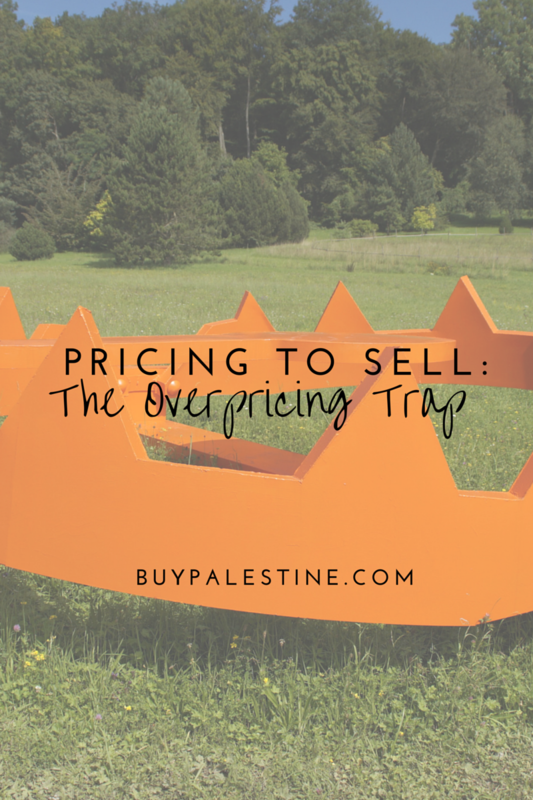 If you price it high in the beginning to “test the market,” you’ll likely end up netting less when the home eventually does sell (after multiple price reductions and considerable time on market.) Most showings happen when the property is first listed. Once this pool of buyers have toured the home and no offers have been made, you have to wait for a new group of buyers to enter the market and will have to reduce the price to become competitive. The longer it’s been on the market, the more that shoppers begin to think there is something wrong with the property. Generally speaking, buyers tend to offer less the longer a property has been on the market and you may be more willing to take a much lower price than you ever thought possible out of sheer desperation. When selling a home, time is not your friend. Lisa E. Priest is an East Texas Area REALTOR® with Picket Fence Realty, Inc. You can reach her via phone or text at 903-948-3343 or email Lisa@rentpalestine.com or at BuyPalestine.com.